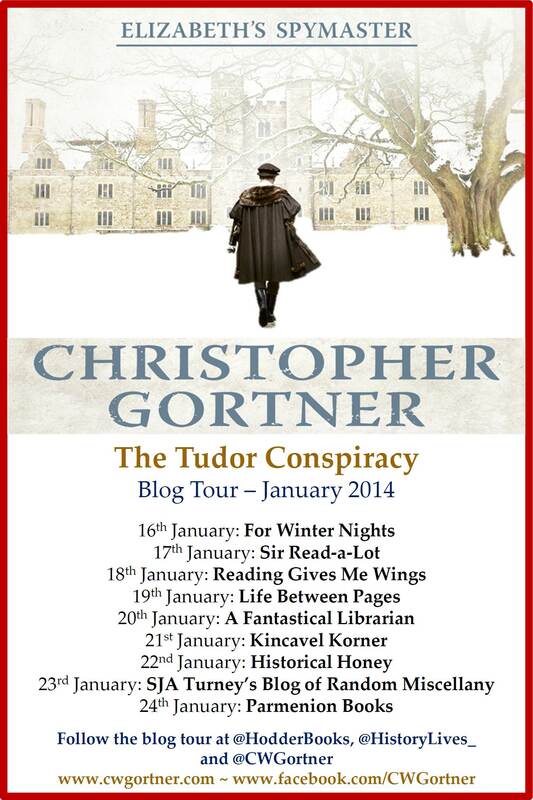 In The Tudor Conspiracy, Christopher Gortner brings to life the intrigue and secrets of the court of Mary Tudor and the peril that faced her younger sister, the Princess Elizabeth, in this dangerous place where one false word, one misplaced letter, could mean the Tower and the executioner’s axe. It is a wonderful novel and, following on from my review in the previous post, I am delighted to kick off the Blog Tour to celebrate the publication of the paperback today with an interview with the author. In it, Christopher discusses, amongst other things, keeping the Tudors original, marrying fiction with fact, the appeal of the Renaissance and writing about its famous iconic women and future book plans. 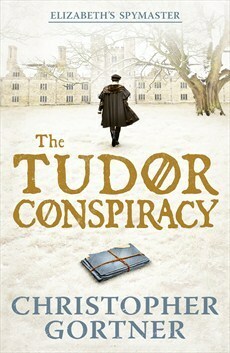 Congratulations on The Tudor Conspiracy! I loved it and read it in just one sitting. The Tudor period is a popular subject for novels and dramas, how do you make your portrait of the period different and refreshing? Thank you for inviting me! I’m delighted you enjoyed the book. One of my primary concerns when I decided to write a book set in the Tudor era was originality. I love reading about the Tudors but felt much of the period had been covered extensively in fiction, particularly Henry VIII’s reign. That said, the reigns of the so-called ‘forgotten’ Tudors, Henry’s children, Edward and Mary, were less crowded and offered a wealth of drama for a spy story. The social and political landscapes had shifted; there was religious dissension and confusion, and strong personalities emerged to dominate the court. I also wanted to frame my story through the eyes of a young man, Brendan Prescott, a fictional character who carries a secret from his past and finds himself unwittingly recruited into the nascent intelligencer service that Cecil first devised and later expanded to protect Elizabeth. I thought: What if this foundling without any idea of his origins became embroiled in defending Elizabeth from her foes before she became queen? Elizabeth faced some of her most dangerous challenges during her half-sister Mary’s reign – the setting for The Tudor Conspiracy—yet did not have the power of the crown. I loved the idea, as well, of taking a particular historical event, such as Northumberland’s coup in The Tudor Secret and the Wyatt revolt in The Tudor Conspiracy, to hinge the plot, interpreting these oft-neglected events through Brendan’s eyes and offering a hidden mystery behind the facts. It made the exploration of the always-fascinating times more interesting and refreshing, because in truth, everyone in the Tudor court had an angle to exploit and a spy would find himself caught between opposing agendas to his detriment. Likewise, I wanted to explore Elizabeth from the perspective that she was a survivor first, willing to do whatever was necessary to safeguard herself. It makes her complex and fallible, as she no doubt was in real life. Her oft-fraught relationship with Brendan lies at the heart of these books, for she has learned she cannot trust anyone, yet finds in Brendan a loyal champion who, at the same time, could become a threat. The Tudor Conspiracy is an exciting mystery. How difficult is it to balance historical accuracy with pushing forward the needs of the plot? Does history take second place to the adventure? The Spymaster books employ a three-pronged approach: the historical event in question; the hidden story behind it; and the ‘What if?’ factor. It is a challenge to write because of this interweaving. While I do my best to not deliberately alter facts and fit my ‘What if?’ plot into the facts, we must take into account that ‘accuracy’ does not always translate into truth. History can be deceiving and the events I depict are mired in controversy. We don’t understand everything that went behind them. For example, did Elizabeth know about a plot to depose her sister? Was she a party to it or merely a bystander? The adventure aspect is, of course, purely fictional: Brendan must uncover a secret to save Elizabeth while dealing with his own challenges, so this part of the book springs from my imagination. However, I try to balance the fiction with the realities of life in the era, showing the underside of the glamour we have come to associate with the Tudors. Television shows and movies depict a world of damask and sexual shenanigans, when in truth it was far grimmer. I also strive to stay true to what is known about the historical personalities, while, again, fitting them into the demands of the plot. For example, Edward Courtenay was reputed to be a libertine who, upon his release from the Tower, went on to swive his way through London. So, I took this rather tawdry aspect of him and amplified it for my plot. Your portraits of Elizabeth and Mary are very intriguing. Is it harder to bring them to life than it is your fictional hero Brendan Prescott? Perhaps because I have studied them for so long, in some ways I feel as if I know them. As a writer, I try to approach my characters from a psychological viewpoint. Mary, for example, did not start out as a monster or fanatic; she was a beloved child who endured the acrimonious dissolution of her parents’ marriage and tragic separation from her mother. At a vulnerable age, in her teen-age years, when we know adolescents can be acutely sensitive, she endured terrible treatment from both Henry VIII and Anne Boleyn. Mary cleaved to her Catholic faith, both in her mother’s memory and in defiance towards those who were browbeating her. This part of her personality hardened her and leads to the obstinate, unpredictable and terrifying woman we meet in the book yet I also wanted to show her innate compassion and need to feel loved. With Elizabeth, we have an even more enigmatic but equally complicated woman: the daughter of an executed queen, who learned at a very early age that trust can be deadly, she is Mary’s opposite. I did not find it harder to bring them to life than Brendan because they have solid backstories to build upon; in some respects, Brendan is more challenging because he develops out of his experiences. The novel ends with the hint that there could be more to come. Is there going to be another in the series? Yes. The third novel, titled The Tudor Vendetta, is finished and currently with my US and UK editors. 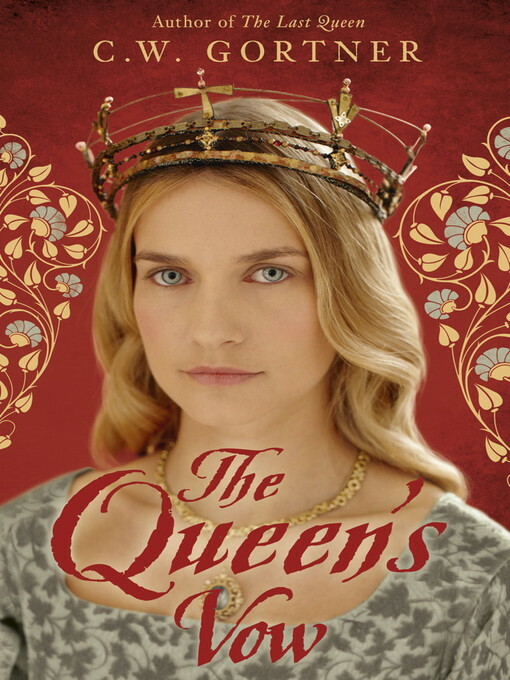 It takes place in the first weeks of Elizabeth’s accession, when the new queen faces significant turmoil and sends Brendan on a secret assignation that brings him face-to-face with a mystery from his own past—and hers. Your recent novel The Queen’s Vow was written under the name C.W. Gortner. Does the slight change in name mean that you approach writing these books (one historical fiction, the other a historical mystery) differently? It is actually my UK publisher’s decision, in order to differentiate these types of books I write. In the US, I have separate publishers yet they both release my novels under C.W. Gortner. What is the appeal of the 15th and 16th centuries? Would you write a novel set in a different time? The Renaissance has always enthralled me. Growing up in southern Spain, there was history all around me. I lived near a ruined castle that had belonged to Isabella of Castile and visited many historical sites in Europe as a child; of these, the ones I found most appealing are from the late medieval and Renaissance eras, such as Hampton Court, one of my favourite places in the world. I read voraciously, as well, in particular historical fiction, so when the time came to try my hand at a novel, a historical was the natural choice. And being that I was particularly attracted to the 15th and 16th centuries, when the flowering of the Renaissance reaches its peak, with so much in art, literature, and fashion transforming from a focus on religion to exaltation of the personal, it was the place where I wanted to be. Likewise, some of our most iconic female figures emerge during this period and I wanted to explore their particular lives, their intimate secrets, and delve beyond the ways in which history has both distorted and mythologized their humanity. That said, I am currently working on a novel set in a modern time, again featuring an iconic woman. What writing plans do you have for 2014? Primarily, to finish the novel I have just mentioned. I believe my US publisher plans to publish The Tudor Vendetta in late 2014, as well, and my novel about Lucrezia Borgia, which is currently with my US editor at Random House, will no doubt require another editorial revision before its 2015 publication date. In short, I shall be busy writing. What kind of novels do you read to relax and do you have a favourite book of 2013? I read across several genres; I love historical fiction, of course, but I also enjoy supernatural-themed stories, fantasy, suspense, and some family sagas. I have many books that I loved in 2013; I actually listed 10 of my favourite reads on my blog at Goodreads here. Thank you for hosting me during my virtual tour. I hope your readers will enjoy THE TUDOR CONSPIRACY. To find out more about my work, please visit me at www.cwgortner.com. This entry was posted in Blog Tour, Historical Fiction, Interview, Tudor and tagged Blog Tour, Historical fiction, Interview, Tudor on January 16, 2014 by Kate (For Winter Nights).